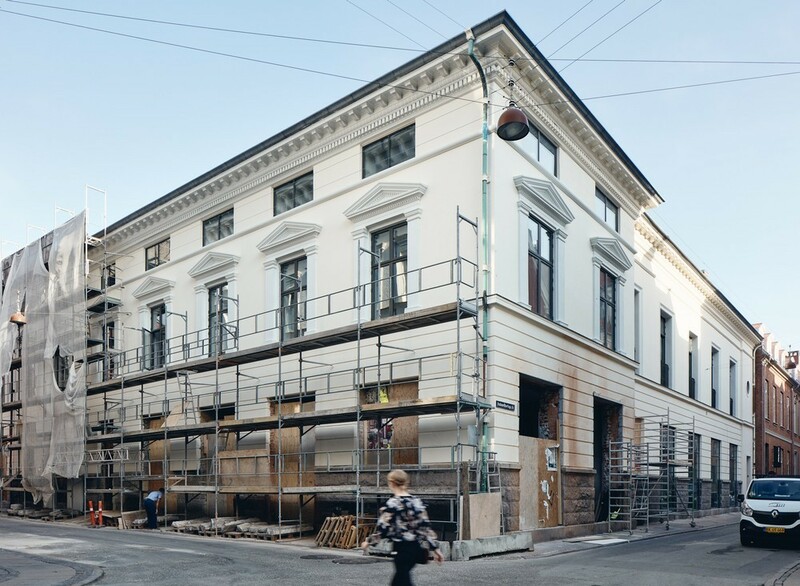 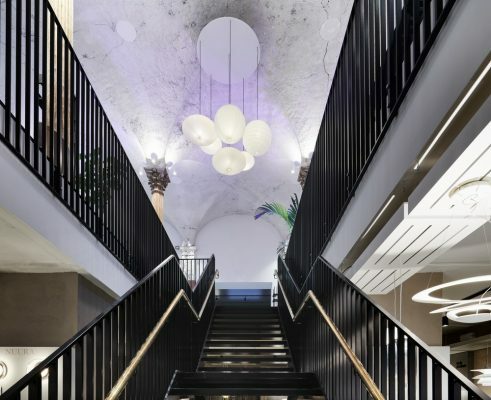 Situated in a classic Copenhagen street a historic neoclassical property on Niels Hemmingsens Gade has been carefully renovated by Årstiderne Arkitekter with respect of the building’s exceptional spaces, details and historic architecture. 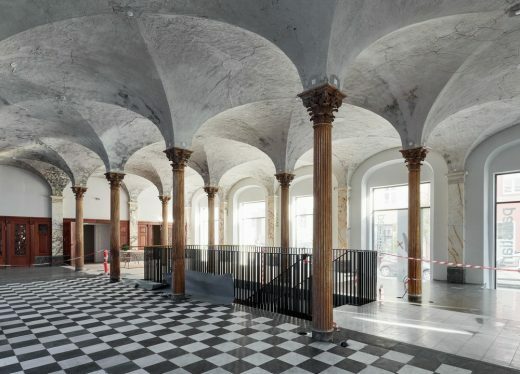 At the same time the building is revitalized with new functions comprising shops and offices playing an active part in the surrounding neighborhood. 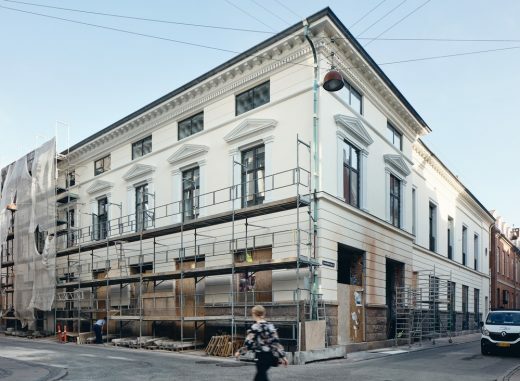 The building in Niels Hemmingsens Gade in central Copenhagen was originally built for Copenhagen Savings Bank in 1868, and has been functioning as a bank until 2003, where Copenhagen Hospitality College moved into the building. 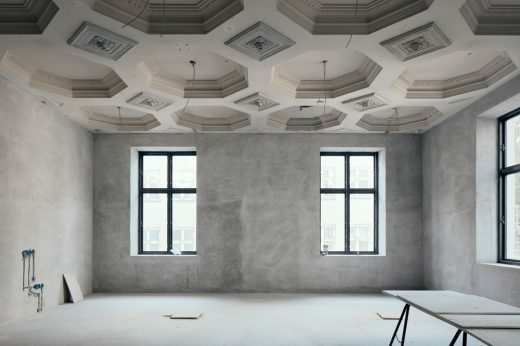 From 2010 the property stood empty for years. After a thorough renovation process the building is today revitalized with new functions comprising both offices and shops. 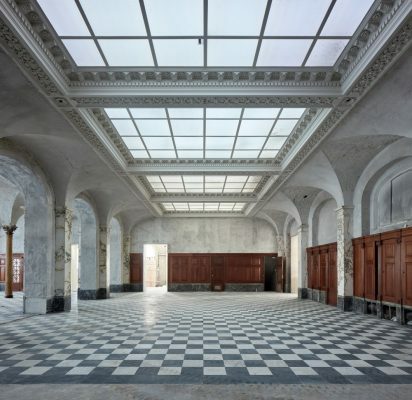 The historic building holds several exceptional spaces, that have been preserved and enhanced in the restoration to maintain the unique and evocative architecture of the building – in example the many details of the imposing bank hall with vaulted ceilings, original golden pillars, marble walls, wooden panels and details in glass and wrought iron have been preserved. 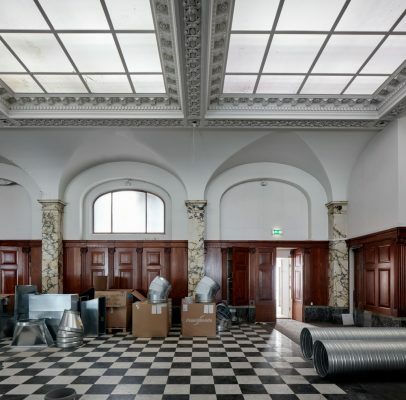 Hidden beneath the floors of the bank hall the original bank box from 1868 is located. 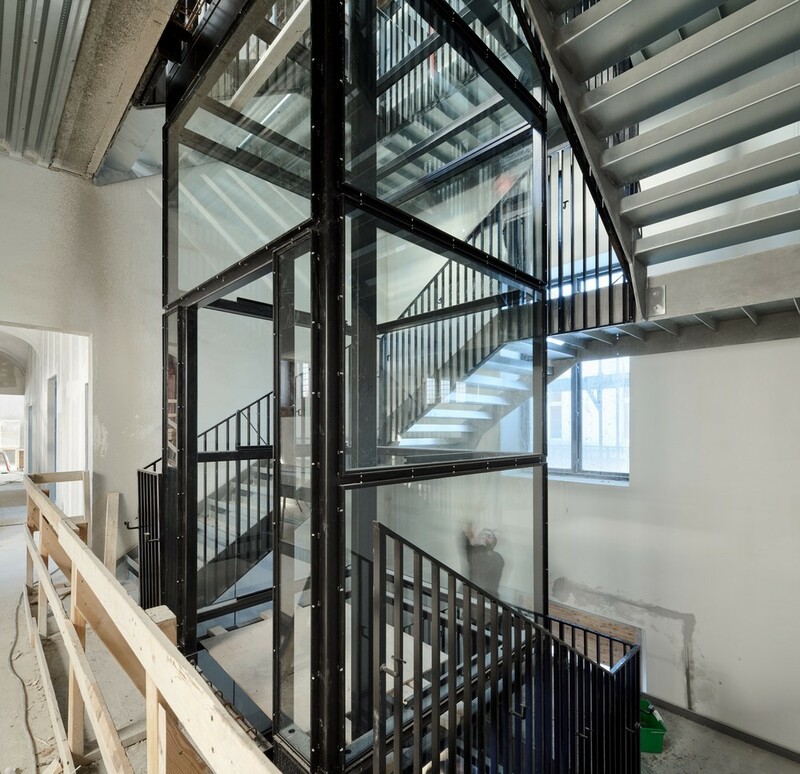 In the transformation process a central staircase has been established to create direct access to the box, which today works as a combined shop, exhibition and café in relation to the newly established shop above. “Working with historic buildings is an architectural discipline, where you have to work with the building’s inherent qualities. 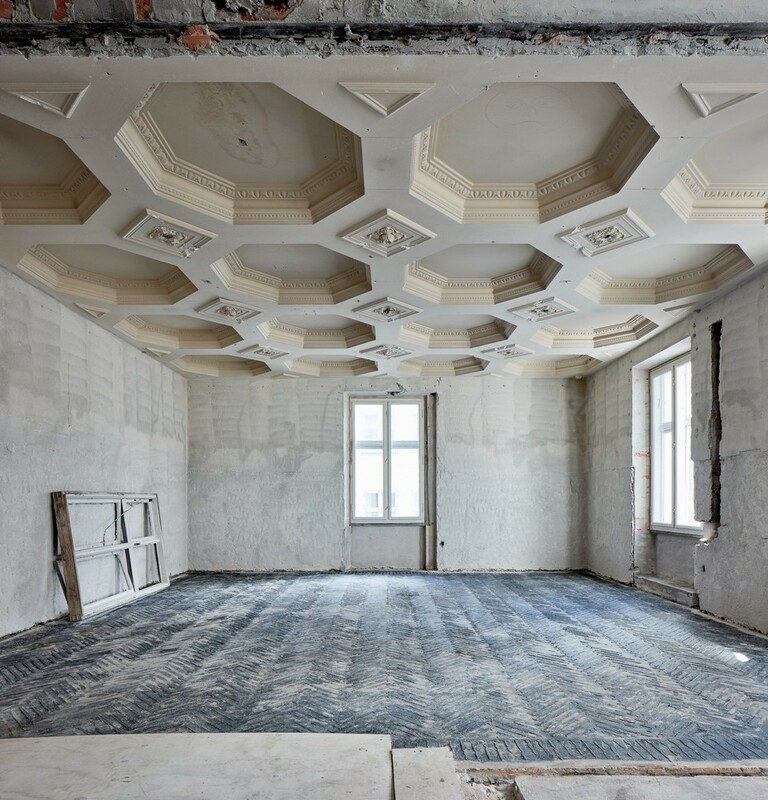 Over the years, this property has been renovated and expanded several times, which we also could see in the renovation process, where we discovered several features and historic details. 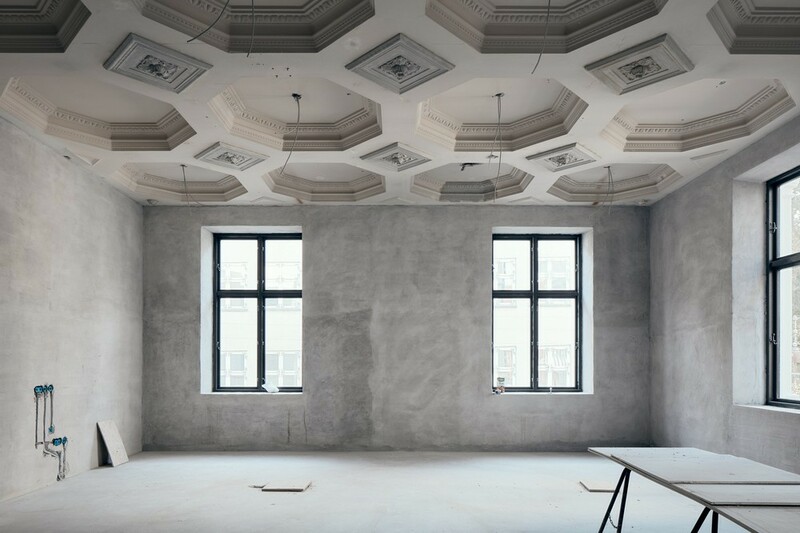 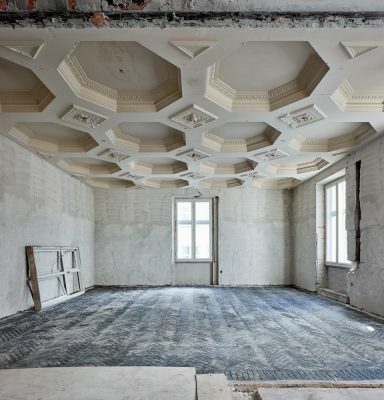 In example, we found a hidden coffered ceiling in one of the rooms during the process, which we brought back to its original shape and beauty. 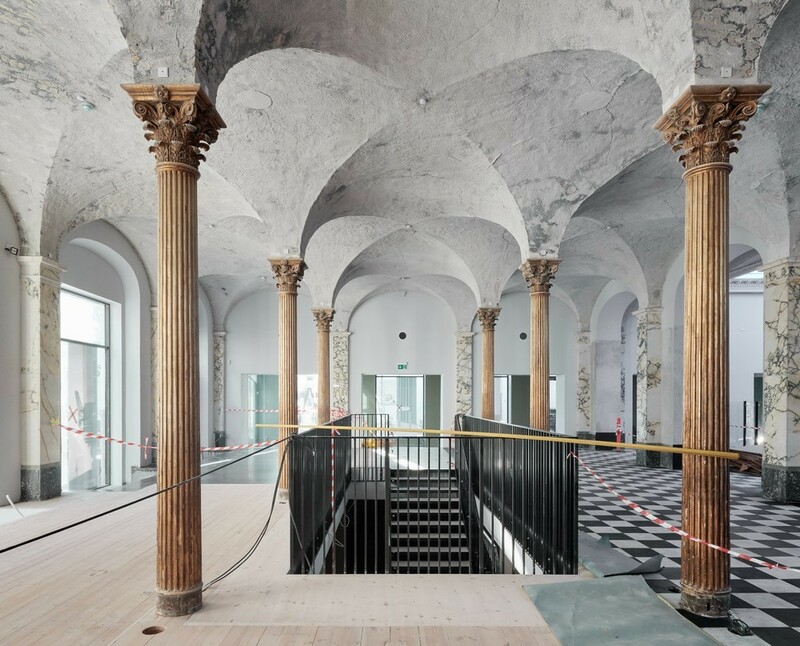 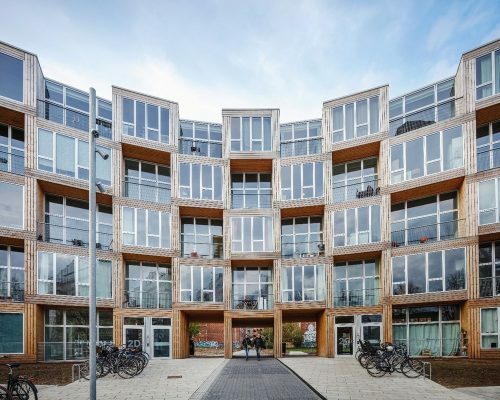 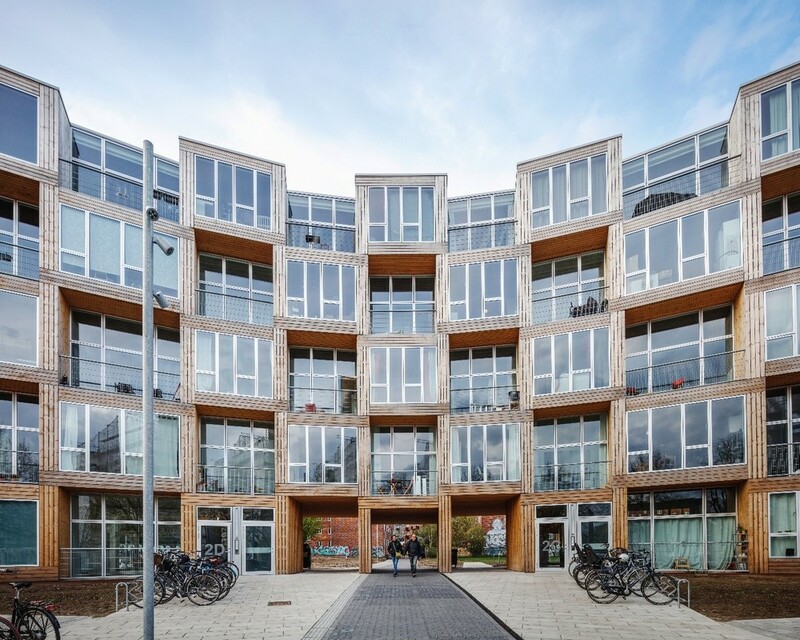 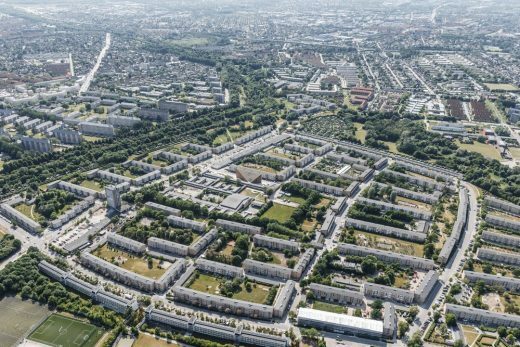 In other words, we have worked on the building’s premises to create this final result,” says Mikkel Westfall, Creative Director at Årstiderne Arkitekter. Throughout the entire process, the aim has been to preserve the original architecture, while still revitalizing the building with new functions. One of the main architectural thrusts has been to open the property towards the city with large shopfronts on the ground floor to form a more welcoming building, that supports the new consumer-directed functions. 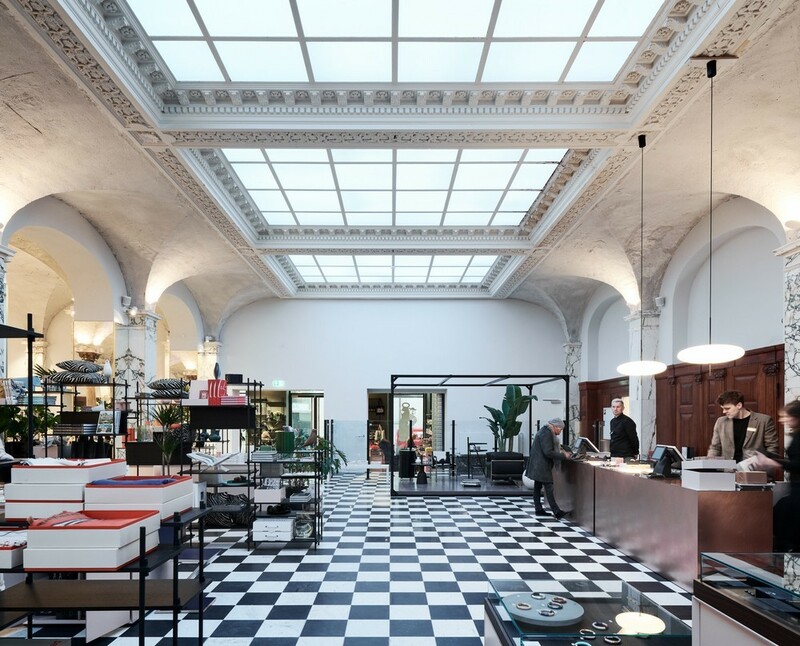 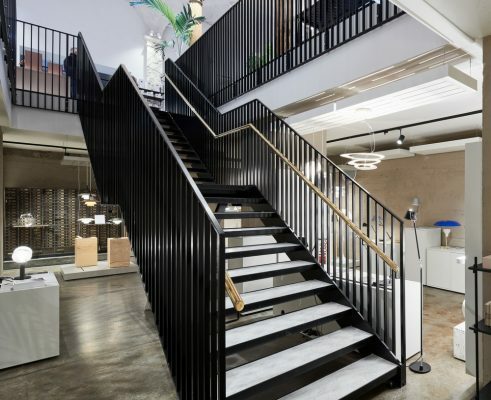 Today, several of the building’s spaces house the Danish design brand Paustian, which moved into a new shop measuring 1.300 m2 in December 2018. 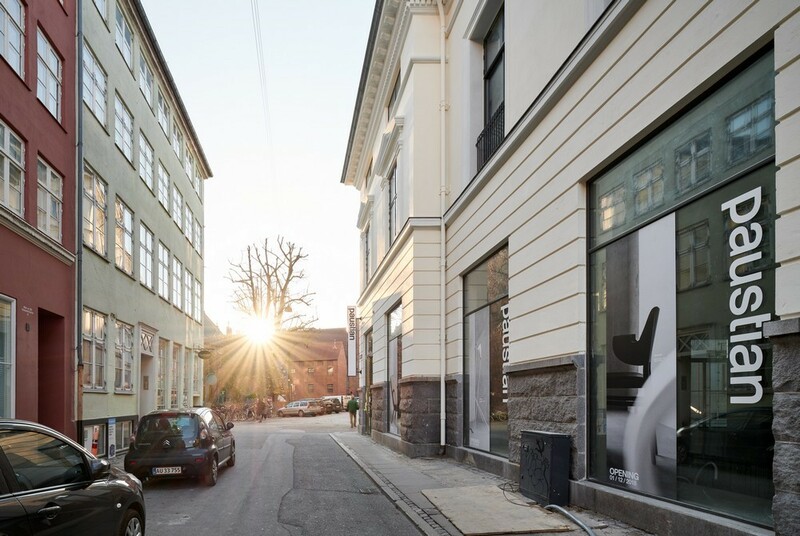 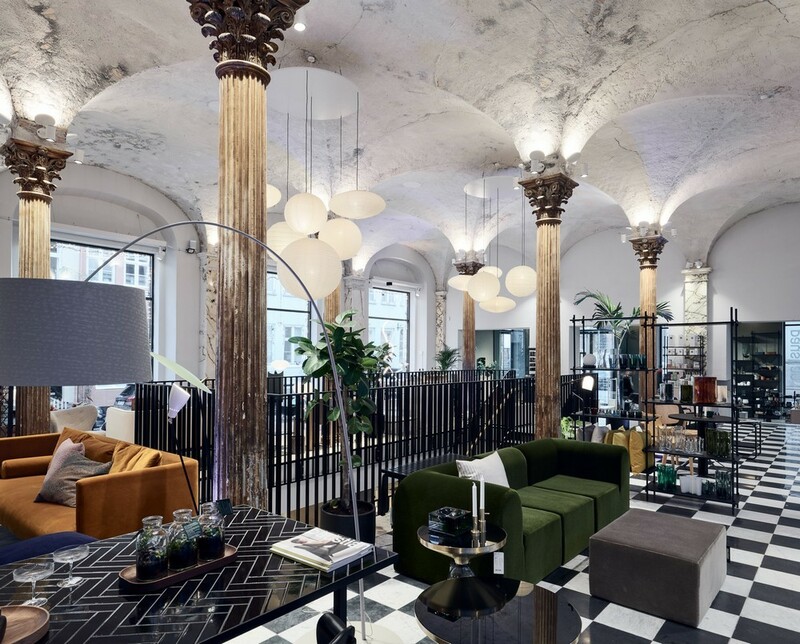 By that, the building in Niels Hemmingsens Gade became part of the new “Design District” in Copenhagen, that also comprises shops like Fritz Hansen and Fredericia Furniture. 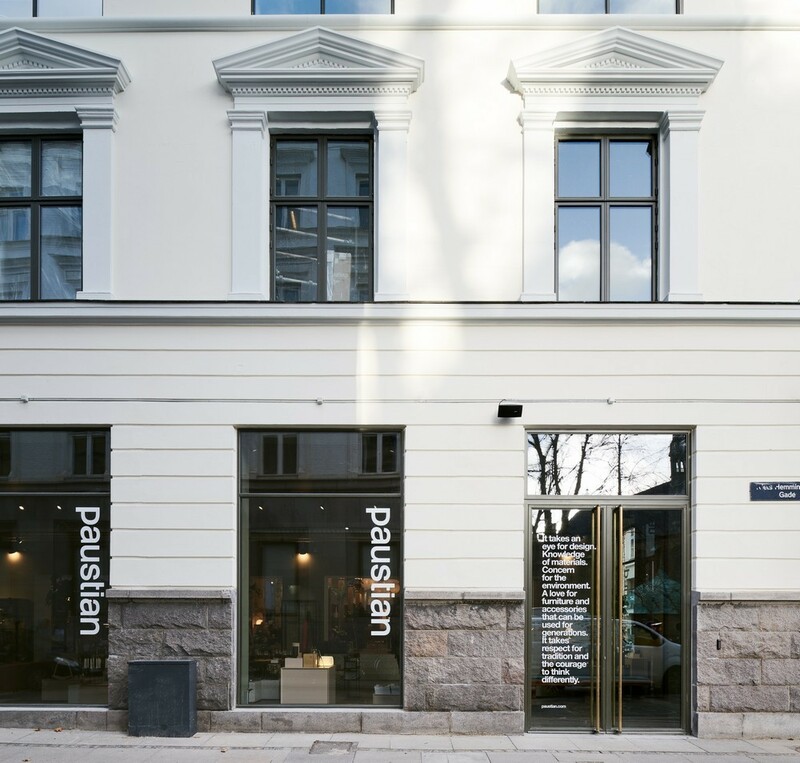 The Paustian shop is decorated by Interior Designer Helle Flou.